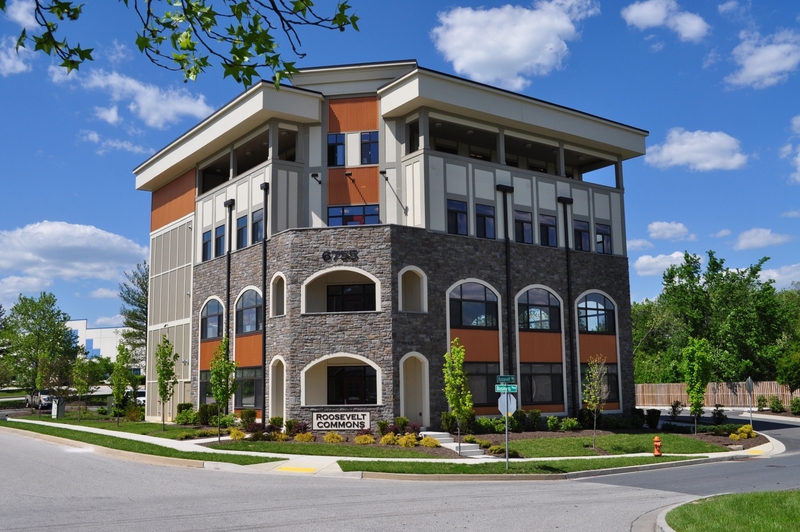 If you are looking for Executive Suites in Howard County, Roosevelt Commons is where you want to be. With richly-appointed interiors at very reasonable prices, our executive suites are ideal for sole practitioners and startups, as well as large companies seeking office space in the Baltimore-Washington corridor. An executive office suite offered by BW Offices at Roosevelt Commons is an ideal solution for entrepreneurs, established businesses, and start-ups who require a professional atmosphere with flexible lease terms, the ability to easily expand to a larger space and reasonable lease rates. Our signature building with elegant finishes like fluted glass office doors, granite kitchens, architectural fixtures, outdoor terraces on each floor, café seating areas, slate and marble floors, 10’ ceilings. Not enough to convince you? We invite you to come in and take a tour!